Micro SD card and batteries are Not Included in the package. Micro SD card (Class 10 up to 32GB) is recommended. Videos created by this camera maybe not supported by standard windows video.We recommend VLC or Irfanview player. 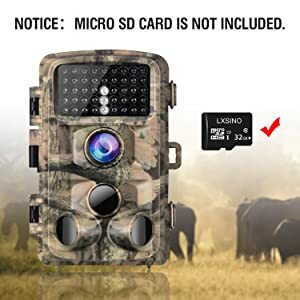 Why choose T45 trail camera? 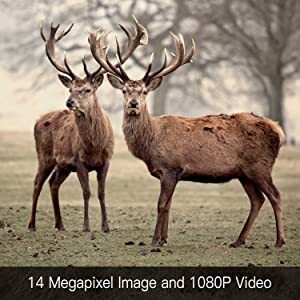 Compared with 12 megapixel device, T45 featuring 14MP(14 megapixel) 1080P (1920*1080) resolution, allows you to enjoy the wonderful animal world through super crystal pictures. 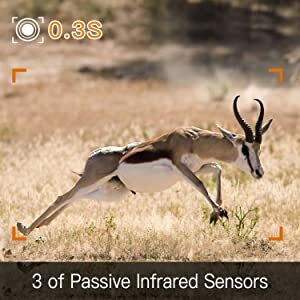 3 passive infrared sensors design can save more battery power while working,and increases sensitivity which makes it triggered in shorter time of 0.3S with longer distance up to 20m(65ft). 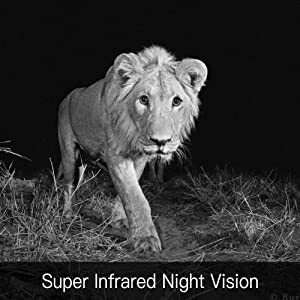 42 pcs low glow infrared LEDs, 850nm infrared flash technology brings clear view of wildlife at night without bright flash which may scare the animals. Valuable moments of nights will never be missed. 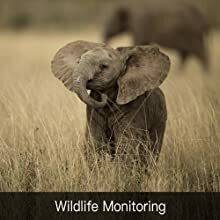 If you want to know more secrets of wildlife, just choose T45 to easily touch the unbelievable fantastic world. 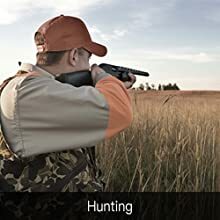 T45 trail camera is a helpful assistant to track animals for hunter. 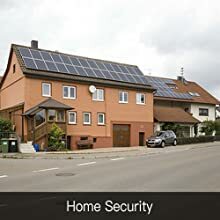 The trail camera is also as a home monitor, which would be a multifunctional device. 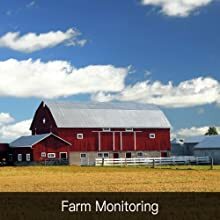 Help you monitor your farm, preventing strangers or stray animals.